We are aware of some issues with clearing cargo from the website and we are working to resolve this as quickly as possible. We apologize for any inconvenience that this may cause. The Port Authority of the Cayman Islands is seeking a qualified Safety and Crisis Management Manager. 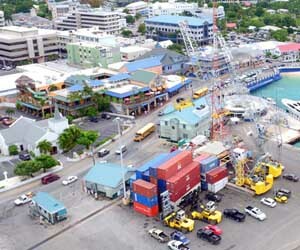 Please see the details in our vacancies section here: https://www.caymanport.com/job-advert-safety-and-cr.. The Port Authority of the Cayman Islands is seeking a qualified IT Systems Analyst. Please see the details in our vacancies section here: https://www.caymanport.com/job-advert-systems-administrator/. Grand Cayman is Named as One of the World’s Top Cruise Destinations, Based on Consumer Reviews Cruise Critic awards the highest-rated cruise destinations in 18 cruise regions across the globe .. The Cabinet has issued instructions regarding direct funding of Non-profit Organisations. The memo can be read here. .. In response to recent articles in the press concerning the Office of the Auditor General's Report relating to potential abuses and/or fraud at the Port Authority of the Cayman Islands ("the Report"), the Board .. Advisory Notice Cayman Port would like to inform their valued customers that sale of water is temporarily suspended due to a waterline break. Resuming business as normal will be announced by way of usual.. 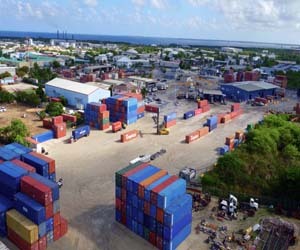 The Port Director, as Receiver of Wrecks, hereby gives notice that a 35ft Dominican type Panga white hull and orange bottom, blue inside with no engine was found washed up on the south shore of the Cayman Islan..
After many years of concept, planning and design PACI is excited to achieve another milestone in the redevelopment of the Berkley Bush Cargo Distribution Centre – Container Yard Construction as their Rubber ..